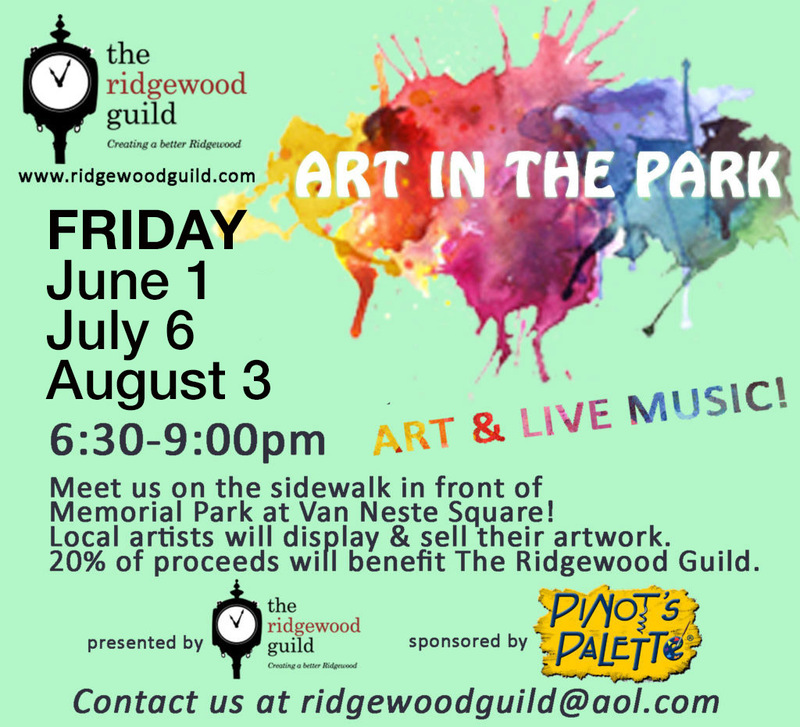 Join Us for Art in the Park! Art in the Park is a “First Friday” program that takes place the first Friday of June, July and August in front of Memorial Park. The event showcases local art work from both amateurs and professional artists. 20% of the art purchased goes to support other Ridgewood Guild events and programs. The program is sponsored by Pinot’s Palette and includes face painting and interactive painting on site. There is always music in the air to round out this great program. This year, for the months of July and August, we will be adding craft vendors. Sponsorships and donations are always welcomed. Join us for another great year of Art in the Park sponsored by Pinot’s Palette! Art in the Park takes place on the First Friday of June, July and August in front of Memorial Park from 6:30-9:00pm for Art & Live Music!